Before the Roadster show I had no idea of what I wanted to build after the bugtruck. That was until I saw some amazing '37 Ford roadster coupes. Since, I have been trying to figure out how to take the styling of a '37 Ford and merge it with a bug. Well, I think I have an idea. Already contacted BGW Spectre about their '37 Ford parts and they were kind enough to send along a photo of the front fenders. Nice glass work but I THINK the bug will need extended to achieve the proportions similar to the '37 Ford front end. By mounting their fiberglass fenders in the stock location just isn't going to cut it. So it will take a lot of head scratching and cutting but I think I can be done??? 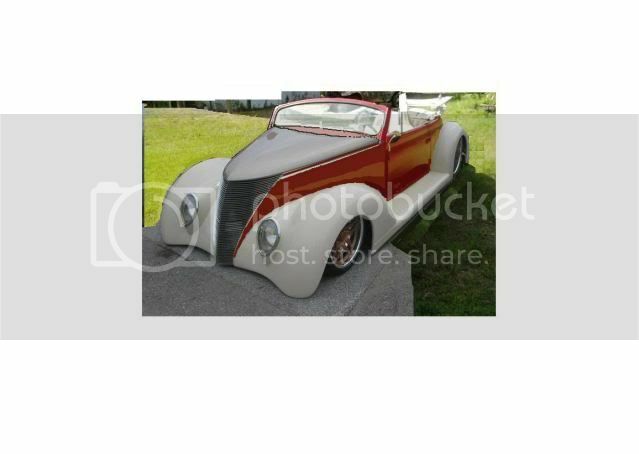 not sure if you plan on using an actual '37 ford front or just one of the fiberglass shells.. I have the WunderBug fiberglass kit and my only suggestion is to look closely at the latch system and possibly replace it.. I lost my hood once on the freeway, luckily it was at about 3am so no cars behind me to run it over, and the rivets ripped clean off the hinges, but it's still something I don't want to go through again..
Do it! It's not something I would build, so you don't have to worry about me copying this one, but it looks like an awesome idea. I think that has good potential. They alwats look like they need the cowl stretched a couple inches as well as the space between the door and the front fender. Maybe an actual chassis stretch. Maybe find a cowl from a 71 or 72 super and relocating the trunk opening forward even a couple inches would give it better proportions. Old cars need that long hood. I think you could graft the super cowl and then relocate the standard Hood forward. We've seen your skills! Last edited by HeidelbergJohn4.0; June 7th, 2010 at 02:29 PM. Thinking I'm going to go with steel and shy away from glass. Been doing a lot of reading about glass work...looks difficult. I'll certainly need to stretch something (everything) on the front end to duplicate that longer Ford nose. Like the idea about extending the cowl. And Brian...well..ok, I'll do it! I promise to paint it shiney for you too! By the way, let's see some updated photos on that 5-window! Go for it , you have the skills looks bitchin ! Why a pre-67 vert? 65+ are the same basic body and 68+ are a lot cheaper and easier to find. I cannot wait to see it take shape. Talking with you about it on saturday got me all excited to see it and low and behold there is the rough draft. Trust me, 'glass is a LOT easier than steel. I've done plenty of both. The BGW '37 parts (not too hard to find used) are a good place to start unless you have some very deep pockets and want to start picking up street rod parts. I've been thinking about doing a properly proportioned '37 Ford look for years (since about '82). I put together a Bug with '37 nose and molded over the fenders and added separate headlights (same ones that are now on Voltsrat). Later, I cut out the smoothed over fenders and added '37 Ford headlights. It looked real good. I still have the headlights thinking I might one day do this, but it's looking more and more like Voltsrat may well be my last big project. I'll dig around in my computer and see if I can come up with some pics of my old Bug and some of the '37 concept sketches I was working on. Go for it, man! I have dug both of your last VW's. Inspirational and creative. I think this one has a lot of potential, but I would only consider buying the fenders and fabbing the rest. You have the skills. Did you sell the truck already? I have a '49(?) Chevy pickup hood that might be useful if you cut off the lower area so it's flatter. PM me if you're interested in it. I'm with Fishguts, 'glass is way much easier to work with than steel. But at the same time, not as impressive sounding when you tell people it's not steel. If you can pull of getting the profile right then go for it!.. Wow, thanks. Some great input. As far as the year for a convertible??? I guess you are right Bugdust, it really doesn't matter so long as it's not a super. That's good news, means lower donor cost. The vert is just for the doors, cowl, window frame and the structural aspect. Bugdust I'd like to see those concepts you have as well. I've been scouring craigslist and have seen some good deals on 'glass fenders and hoods. Grills are another thing. If I can find a good enough deal on steel front fenders and hood, perhaps making due with some glass rear fender might help things moving? Carcentric, I'm very familiar with those hoods...I see what you're saying about the top section. The challenge I think might be re-shaping the nose to a point so the front grill would work? I'm realizing the challenge is going to be in the lengh and width. of the vert donor. The fun will be trying to pull it off without losing too much money in case I botch it. Deep pockets? No, I'm married. Can I keep it and build this one too? Not if I want to remain married. Did I sell the truck already?........well......I'm 99.95% sure it's going to a new garage in the very near future. It was a lot of fun to build, show and not to mention drive (200 miles and counting!!) but I've got that itch to scratch. Thanks for the feedback and confidence boost. I think you could get the look with out that much work really look up black bugs on YouTube and add that funky hood some people have here rework factory fenders in the front and rear should look the same minus maybe being shorter. OK, brace yourself ... here come a bunch of photos. Like I said, I've been thinking of this for some time. The first few are of the Bug I built about 25 years ago. I think one of these might even be based on a photo you posted a while back! The last one has fenders from a '37 photoshopped in. It's the one I think probably works best. Most are pretty sketchy as I never intended to publish them but was just working through ideas. Maybe something here will be of help. You certainly have the skills to make it happen and it's really unlikely I'll ever get around to it. It would be cool to see this come to life. Last edited by fishguts; June 8th, 2010 at 02:52 AM. If you need any actual 37 Ford measurements, let me know, I have a 37 Ford Ute (same front end as coupe and sedan). With the swoopy, low-cut tail end, how are you going to deal with clearance with the alternator and cooling fan? There are two things in life where penetration is really important....and welding is one. Its all fun and games .........until somebody calls the cops. My wife is as mean as a snake as it is. I'm not saying I couldn't woop her in a fair fight, but she doesn't fight fair. Hey Fish - looks like you captured some sort of rift in the space-time continuum on/around the cars in your pics. You might want to contact NASA. I just wish it was my garage, I love the way the truck turned out. The blue and red rendition is like you picked it out of my head!! Freaky weird. I like all of them! I want to build them all! The Blue truck concept is super cool, all of them are super cool! Thanks Fishguts. Love the hi-boys too. I don't think there will be any clearance issue with the rear decklid. 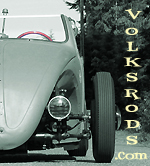 When I built the Stoll coupe, the rear modified decklid had plenty of clearance. The heb decklid lines are similiar. Worst case, I go with a pancake motor? 38Chevy454, thanks for the offers on the measurements, that would be great! My renditions are obviously not scale so I suspect some real measurements will help greatly before I decide glass or steel. I'll connect with you via PMs to get some of those. Black bugs on youtube, gotcha. Will check it out. With all of the assistance, this build should be a piece of cake. Received an email this morning....looks like the truck is heading to HAWAII!! It will be parking next to the Stoll Coupe. Hawaii...? Ho Brah, which Island? Who's the guy? Mark, make it the way you want...we all know it'll be bitchen! Just keep us posted! Fish, I'm in love with that black sedan delivery! Oh and mark...since it gonna be modded out...you can use an early super vert with the flat windshield 71-2!! Did ya see this thing on the samba?